This is Replacement Tool Holder Forks is for HSK 63F toolchanger gripper for Homag CNC working centre, It is clamping fork for HSK63 Toolholder. 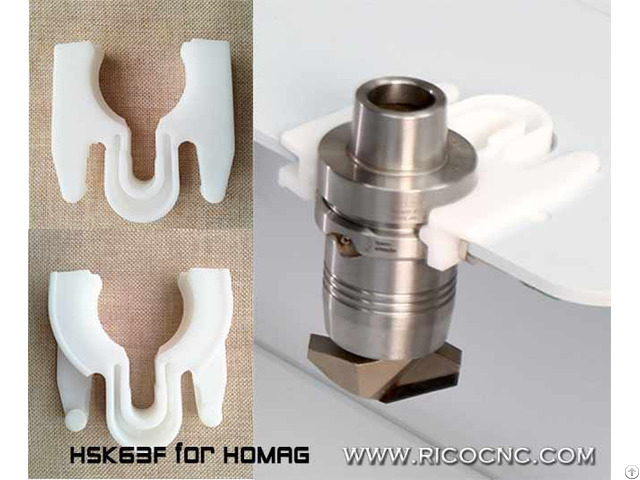 The homag tool clips is easy to found on the Homag Baz series Cnc Working Centre For Boring Routing Edge Banding, BAZ 20/50/18/ /32/40/220/211, CNC Processing Center Venture 115, Panel Processing Center WMP 200/220/240, HOMAG - 5 AXIS BOF 311/60, Homag BOF VANTAGE 12L, etc. The tool forks are for 7-slot linear tool changer and 8-fold tool changer. Homag CNC router fork are available in stock for quick delivery. 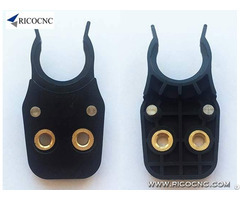 Rico CNC also supplies CNC tool holder forks for Biesse, KOMO, Homag, Weeke, CR Onsrud, Northwood, DMS, Busellato, Anderson, Omnitech, CNT Motion, HolzHer, MultiCam, Cosmec, Cammaster, Thermwood and Chinese ATC cnc router centers, etc. 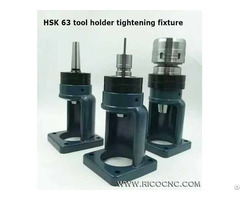 It is convient to get ISO toolchanger forks (ISO30-ISO25-ISO20-ISO15- ISO10), HSK toolchanger grippers (HSK63F-HSK40E-HSK32E-HSK 25E), BT toolholder clips (BT50-BT40-BT30) at Rico CNC.